HP is bringing out an enterprise-focused version of its Windows ‘Mixed Reality’ VR headset in March. 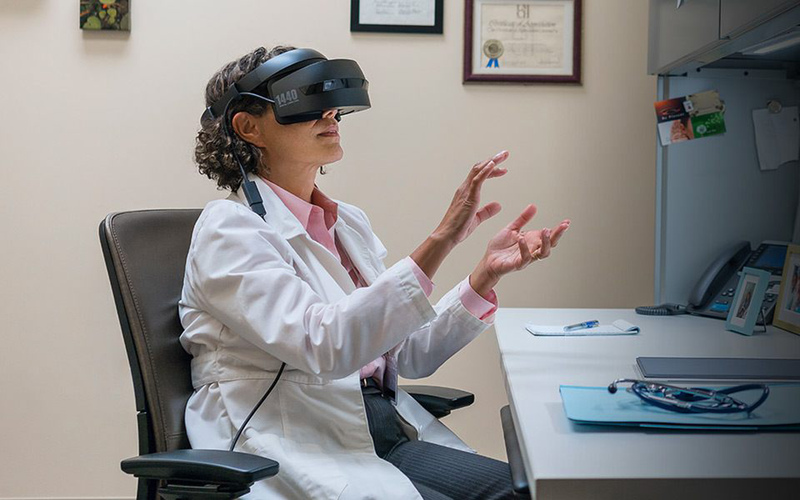 Called the ‘Professional Edition’, HP is pushing out basically the same headset hardware-wise save a few tweaks it considers necessary for VR-use in the workplace. 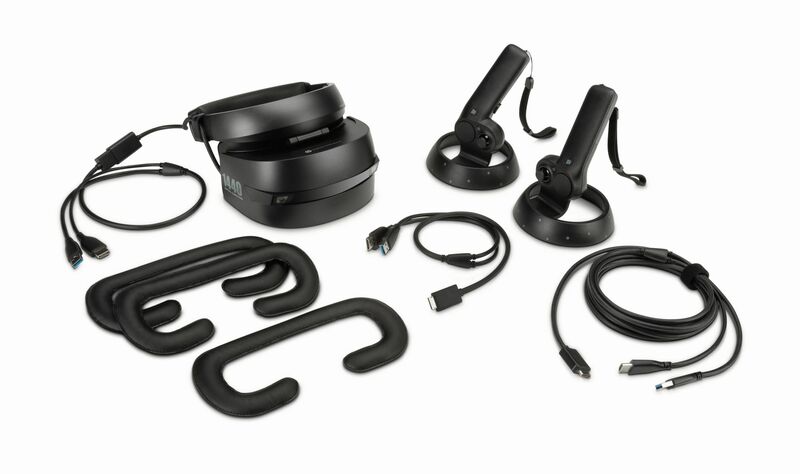 As first reported by AnandTech, the HP Windows Mixed Reality Headset Professional Edition will be available in March for $450—only $50 more than the consumer version is currently. Like all Windows VR headsets, both consumer and pro version feature inside-out positional tracking thanks to dual head-mounted cameras. Both consumer and pro versions feature 6DoF controllers, a flip-up design, double crown padding, dual 2.89-inch LCD screens at 1440 × 1440 resolution per display, a 90Hz refresh rate, and a ~100 degree field of view. As far as we can tell, that extra $50 will get you 3 cleanable, detachable polyurethane face cushions, something that will definitely come in handy if the headset is used by more than one person. The consumer version features a non-removable, dense foam face cushion, otherwise known as a sweat sponge. 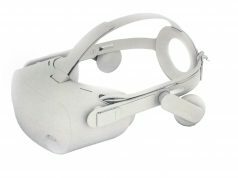 As far as enterprise-focused VR headsets go, this may be the most demure (and cheapest) among the pack, including HTC’s Vive Business Edition ($1200) and Oculus’ Rift for Business ($900), both of which include premium services like dedicated customer support lines and extended licenses/warranties. 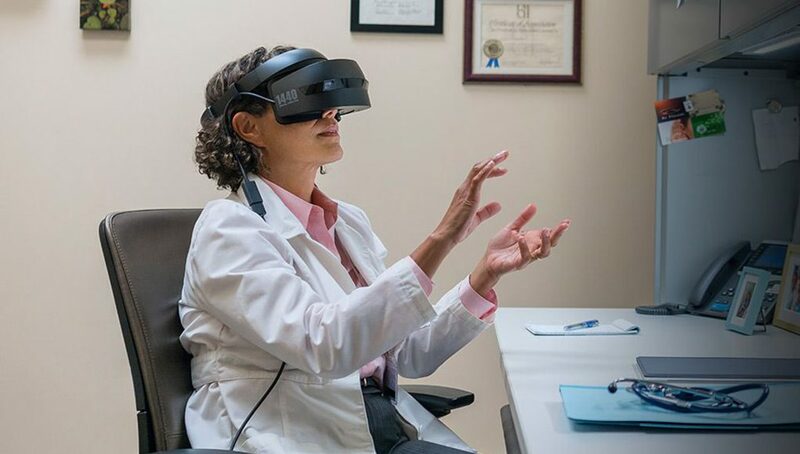 It’s unclear from the product page if similar services will be provided by HP to entice would-be professional VR users. 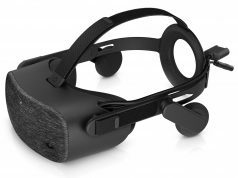 In addition to the pro version, HP has also co-developed a VR Launch Kit with Epic with the goal of streamlining VR development for professional users working in industries such as product design and architecture. 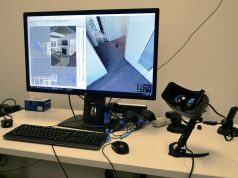 The launch kit is aiming to provide an end-to-end solution that makes viewing CAD-built 3D content easier in VR. HP is also offering companies the headset as a ‘Device as a Service (DaaS)’, which includes a monthly payment package. You can sign-up here to get notified when HP’s pro headset is available. An entire new headset just for 3 additional face pads… Why not just add this to previous editions? or just a $50+- accessory. Samsung needs to release a pro version of the Odyssey that has respectable lenses. As is, the edge distortion is immersion-breaking. Or a cord extension! Its way way to short. I’ve tried buying extensions, and NONE of them work good. With just its factory cable, it works great. With a HDMI extension & a USB 3 extension, its a jittery nightmare! That woman is probably disappointed that her hands aren’t being tracked. What’s worse is they posed her doing the cough and drop test. Who’s to say her hands couldn’t be tracked maybe this is a hint. I can see the tech being very possible. I think controllers are better at compatibility(Vive/oculus apps) and provide inputs and additional sensors but could stereo cameras track your hands why yes yes they could. Yes, they could, but these HMDs don’t.